Global Upholstery Supply is a major distributor of upholstery supplies to the automotive, marine, and furniture industries. 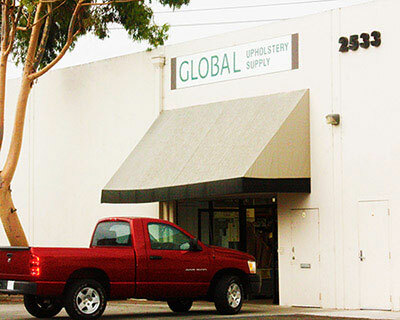 Established in 1995, Global Upholstery continues to expand their product lines across major industries. With years of experience, Global continues to feature top-grade materials to please the pickiest of your customers!
" We are committed to providing our clients with the utmost respect and courtesy. We will always stride to increase the level of service to our clients that is second to NONE!" - when goods are shipped, they will arrive punctually, on schedule and in perfect condition!